This next release in the Great Lives series unveils the life of Jesus and inspires readers with insight, teaching, and historical information. 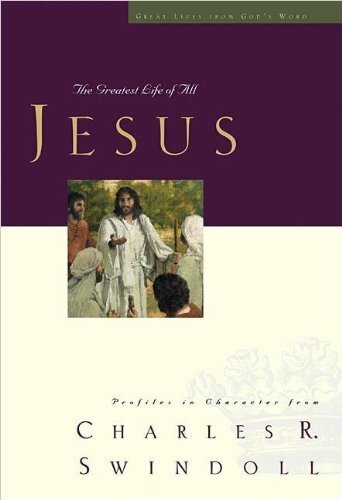 In Great Lives: Jesus, pastor and Bible teacher Charles R. Swindoll dives into the life of the Savior. The book's message presents theologically rich content and a straightforward, honest, and chronological journey that appeals to readers' hearts as well as their minds. Along the way, Dr. Swindoll's trademark warmth and insight offer up life application for the reader drawn straight from the words and works of Jesus. As Dr. Swindoll writes, "The power of His resurrection is a quiet, transforming force that results in the steady growth of hope and life within the believer." Encountering the great life of Jesus is all a believer needs to truly experience that power.